The hand that rocks the cradle, rules the world. And rightly so. Throughout history, there has been no dearth of mothers who have not only looked after their children but also played an important role in bringing a change in the lives of many people around the world. In a male dominated society, these women have carved a special place for themselves by the strength of their resolve and determination, paying equal attention to their activities in and out. They have earned a name for themselves in the process. They are the famous mothers. With Mother's Day round the corner, let's take a look at some of the most famous mothers of recent times, who have managed to keep a fine balance between their domestic and professional life. A Happy Mother's Day to you! A blend of motherhood, talent and immense possession - that aptly sums up Angelina Jolie. One of the highest paid Hollywood actresses and a top global celebrity, Jolie is a woman who values her relationship and believes her children are the best thing ever happened to her. Kickstarting what would become a Hollywood trend, Angelina adopted two children, Cambodian orphan Maddox and Ethiopian Zahara, who lost her parents to AIDS. Jolie has become famous for her charitable impulses: she was named a goodwill ambassador for the United Nations High Commissioner on Refugees in 2001. In July 2006, Angelina travelled to Namibia with partner Brad Pitt where she gave birth to their daughter, Shiloh Nouvel Jolie-Pitt. Jolie feels life should be led by making own ways. She loves different elements of life and knows how to manage both work and family. Recently, the couple has adopted a Vietnamese kid named Pax Thien and increased their family size. Another famous mom we come across is Madonna. She is not only an icon but also a loving mother. Madonna always created special principles for her and her daughters. She is a singer, author, actor and a perfect mother. Her profession in the showbiz has not, however, come in the way of her becoming a strict mother to her children. Having lost her own mother to cancer as a little girl, Madonna hopes that her children never feel the same pains that she went through. She hopes to be the perfect mother not only to her own kids Lourdes and Rocco, but also to David Banda, whom she adopted in October 2006 as a motherless 13-month-old child from the African country of Malawi. 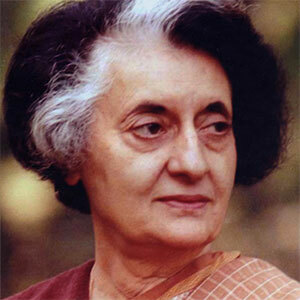 The first woman to become the Prime Minister of India, Indira Gandhi, daughter of late Prime Minister Pt. Jawaharlal Nehru, was popularly called the 'Iron Lady of India' for her dominant and highly influential nature. She emerged not only emerged as a courageous leader and a dictator but also as an ever loving mother. Being a mother of two, Sanjay and Rajiv, she never set behind in performing her duties well. One cannot forget her excellent role in forming 20th century India. Even the tragic death of her younger son Sanjay Gandhi (in 1980) couldn't come in the way of her governance. She continued to rule the nation with sincerity before being assassinated by her own bodyguards in 1984. The Oscar winning Welsh actress was always fascinated by the notion of motherhood. In fact, such was her keenness to be a mother, that she started a family even before she married Michael Douglas in 2000. Their son Dylan Michael was born three months before their wedding. Catherine became the target of anti-tobacco groups in 2003 when she was pictured smoking whilst pregnant with her daughter Carys Zeta. Motherhood is certainly one of the best things to have happened to her. When she was preparing for her role in the multi-award winning "Traffic", she was carrying Dylan, and as per her own admission, a lot of the emotions and instincts that she used in preparing for her character came from her maternal instinct of protecting her young one. "When he was born it just blew my mind away that a complete little stranger would fill me with this overwhelming desire to nurture and protect him, and I would go to such big lengths to do that" she said once. Where there is a reigning queen, there is often also a mother. 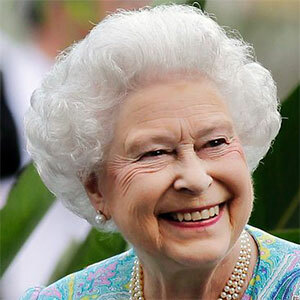 Unarguably one of the most famous mothers, Queen Elizabeth II, the reigning monarch over most of the British Commonwealth (since 1952), is often credited - along with her mother, Elizabeth the Queen Mother - with being a firm backbone for the royal family during a century of singular upheaval. In fact, the Queen Mother was often seen as being a mother to her people. Elizabeth II was proclaimed queen on 6 February 1952 following the death of her father, George VI; she was formally crowned the next year, on 2 June 1953. Her husband, Prince Philip, comes from the royal family of Greece and was created Duke of Edinburgh prior to their wedding on 20 November 1947. With Philip, she has four children: Charles (b.1948), Anne (b.1950), Andrew (b.1960) and Edward (b.1964). A loving mother to all her children, the maternal image of the queen is loved, respected and discussed more than her royal status. The matriarch of the Kennedy political family is perhaps most famously known for her devotion to her children. The wife and then widow of U.S. president John F. Kennedy, Jacqueline Bouvier Kennedy Onassis remains an American icon of high style and grace. Born in 1929 as Jacqueline Lee Bouvier, Jackie, as she was popularly called, married in 1953 the then U.S. senator from Massachusetts, John F. Kennedy. When Kennedy was elected president in 1960, Jacqueline became a popular First Lady, known for her elegant sophistication and her historical interest in the White House. 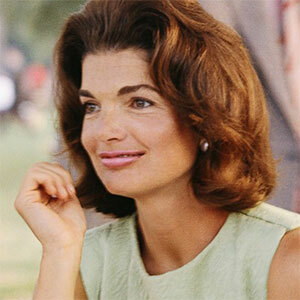 She was made a widow when Kennedy was assassinated by Lee Harvey Oswald in 1963. She and John Kennedy had two children, Caroline (b. 1957) and John Jr. (b. 1960); a third child, Patrick, was born on 7 August 1963, but died two days later. All her life a political wife and then a political mother, Jacqueline managed to transcend the traditionally understated role to leave her distinct mark upon a generation of Americans.